Paul Belard's publishing objective is to effectively do what has been done by other author’s in a dominantly narrative form, by presenting the Elvis story (close to day by day) in a predominately visual format. In this respect, he has already released seven volumes with another 40 near completion! 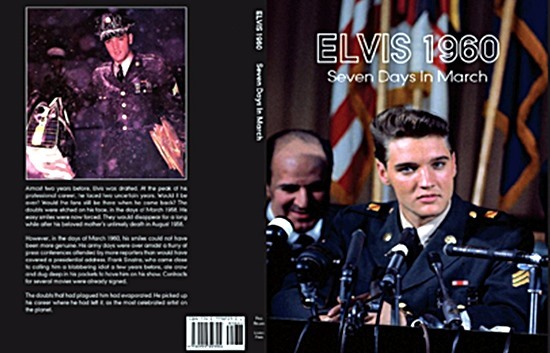 In this self-published, limited edition release, Belard focuses on Elvis’ discharge from the Army, hence the book’s title (film enthusiasts will note its name similarity to the Burt Lancaster and Kirk Douglas political film thriller, Seven Days in May). 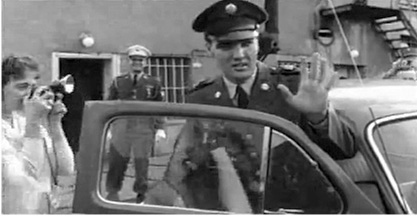 The seven days in March 1960 represented an important "turning point" in the Elvis story. 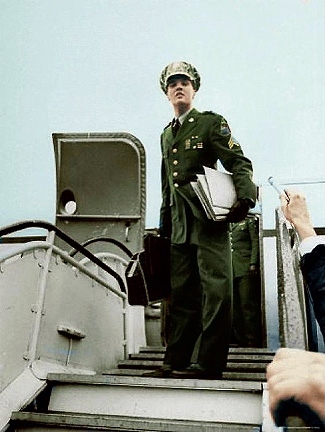 After two years in the Army and away from his fans, a more mature Elvis Presley returned to his homeland with new challenges and frustrations ahead of him. 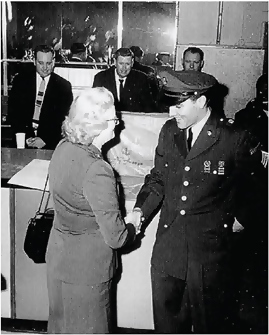 There are substantial sets of photos corresponding to each of the titular seven days, from Elvis' press conference at the enlisted men’s club in Friedberg on Tuesday 1 March to his arrival back in Memphis on Monday 7 March. the triumphant train ride (and stops) from Washington to Memphis (Sunday 6 March). a touching image of Elvis with cerebral palsy afflicted and wheelchair confined, Gary Pepper (p177). 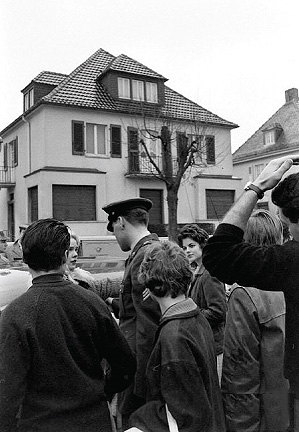 "A bewildered Elvis pays a flying visit". Their inclusion is valuable as they provide the right amount of contextual atmosphere to reinfoce the impact of the story being told by the book's visual content. 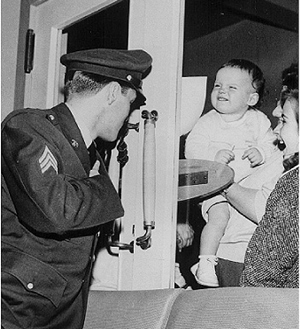 There is also a color image of the “Welcome Home” telegram Elvis received from the Chairman of the Board, Frank Sinatra. The page design is very effective. The paper stock is of matte type with each page framed in black. The visuals are uniformly of a high standard and many are rare – there are a very small number of poor quality images which Belard has included due to their rarity and historical interest. As a group, the images are an eye-pleasing mix of many black and white and a smaller number of color photos. Many images are full page in size. 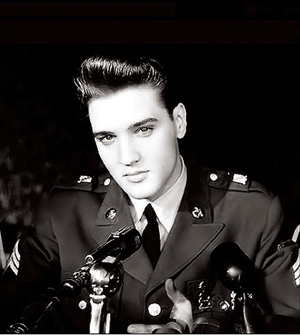 Elvis 1960 Seven Days In March also includes sections covering Acknowledgements, Websites and Bibliography (with full color cover photos for each listing). My only minor issue with Elvis 1960 Seven Days In March is that it would have benefited from a Contents page for easy identification of where the visuals for each day start. Verdict: Elvis historian Paul Belard's Elvis 1960 Seven Days in March is another fine release in his series of Elvis photo-books aimed at presenting a full history of the Elvis story in visual form. 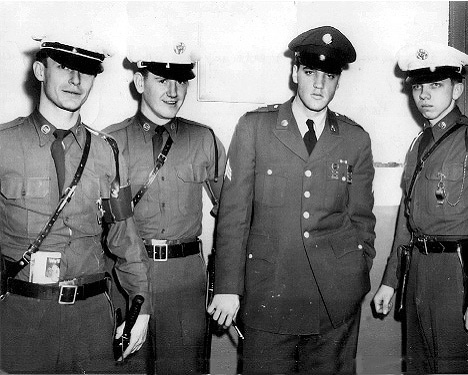 Its strength is in bringing together all of the most important and rare photos relating to Elvis' Army discharge and return to Memphis as well as historically important archival material.